The team went through nine keepers on a day that only saw five limits brought to the scales. 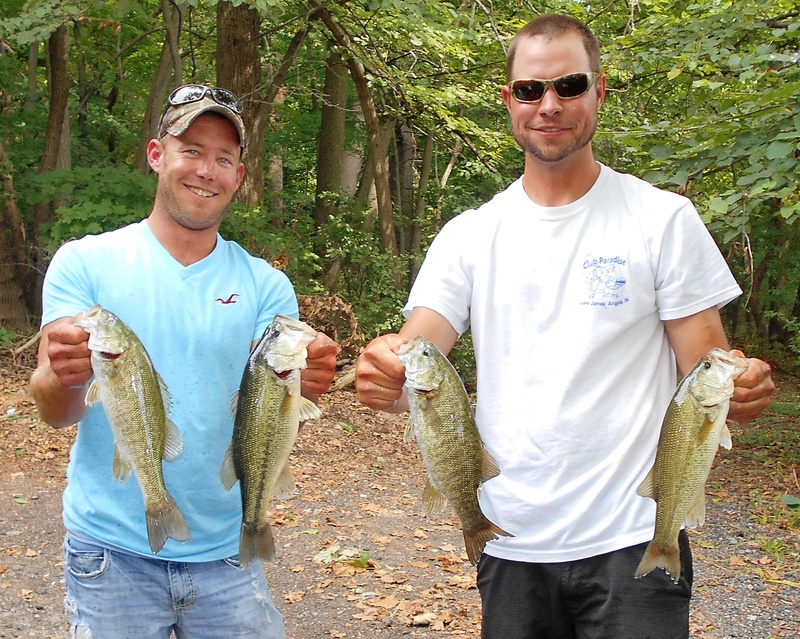 They were rewarded with $847, but an additional $114 for the second biggest bass of the day - a 3.52 pound largemouth, making their day of work worth $961. 2nd Place:Who needs a partner? Apparently not Pablo Gonzalez as he nearly beat the field by himself. Not only did Gonzalez land four fish weighing 8.93 pounds, he also landed the Money Mouth Baits Big Bass, a 4.00 pound largemouth. On the lake he let the wind dictate where to fish as he stayed on the windiest side of the lake all day. “I knew the bite was tough, so I used everything I could to my advantage. Wind is always advantageous,” he confesses. 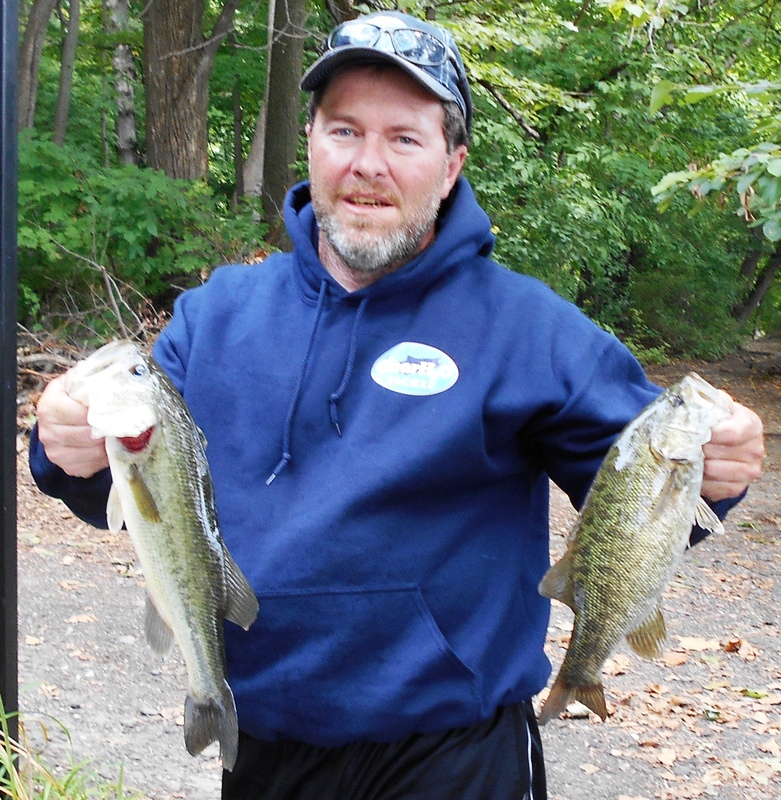 “I began fishing some ledges with a 44 Magnum C Flash crankbait and got two early.” When the crankbait bite died he switched gears and went up shallow to two feet of water. 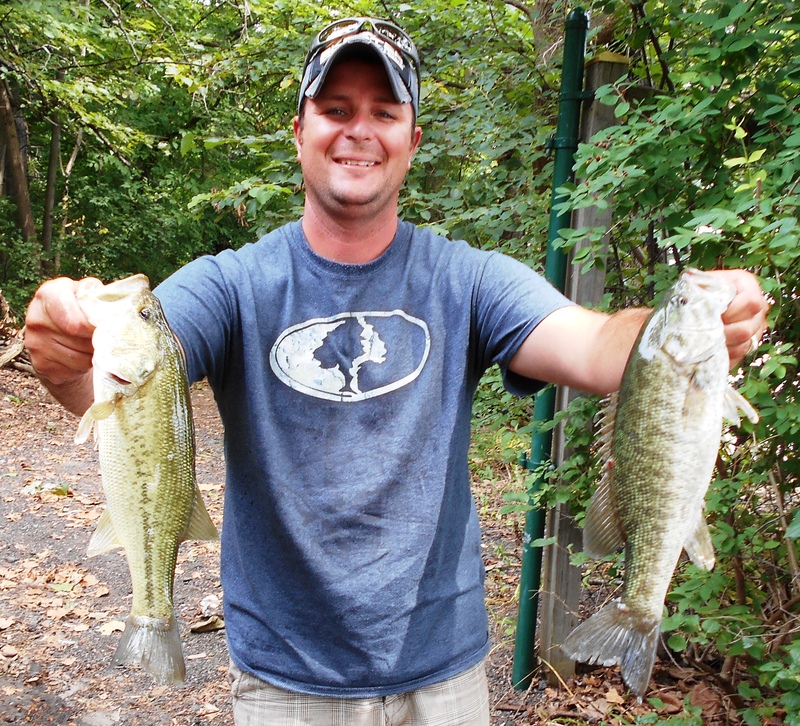 “I saw some coontail patches and flipped a jig into them. 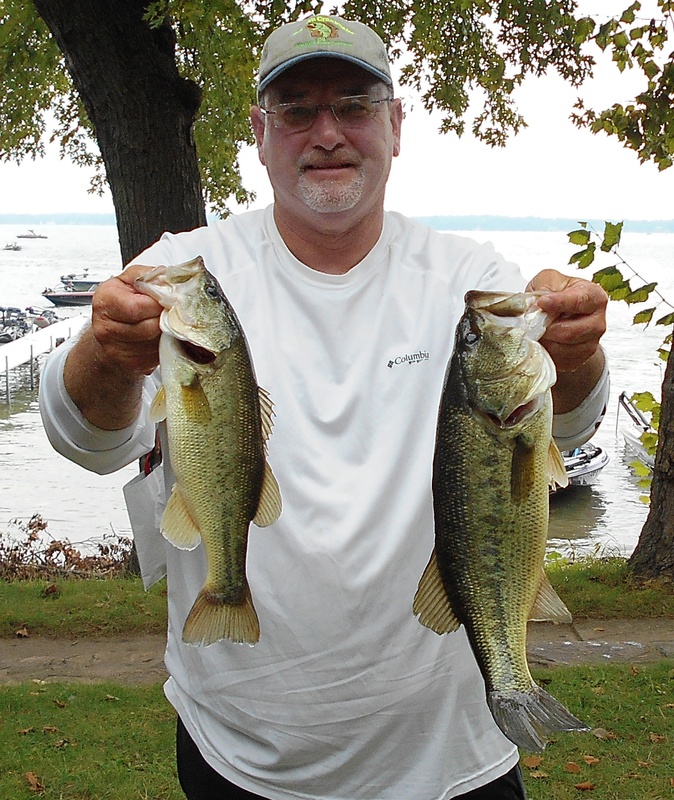 This is how I caught my two biggest fish.” His jig was a homemade ½ ounce with a big chunk trailer. The high finish netted him $544, but the big fish won him an additional $456 making his trip worth $1,000. Best of all, he doesn’t have to share a penny of it! 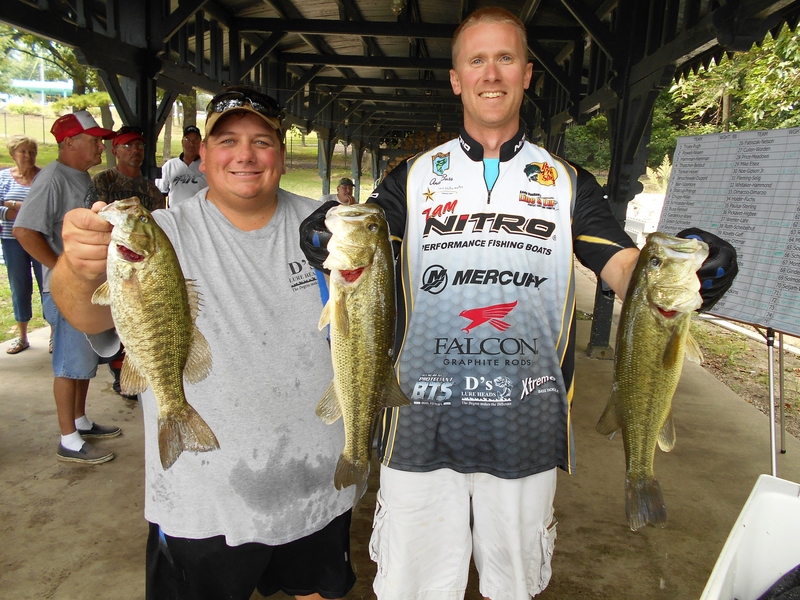 3rd Place:Newcomers Robert Pereira and Brian McNeal took a “painful” approach to land one of just five limits brought to the scales. McNeal explains, “We began tossing C Flash crankbaits because we had a good thing going in practice, but after eight casts at our first spot and six walleye, we knew a change was necessary.” They ran to an area that has traditionally produced for them, which placed their boat in six feet of water, and spent the rest of the day dragging tubes with ¼ ounce jigs “painfully” slow. “If we moved the bait, we would not get bit. It was that slow; terribly hard to do.” This tactic produced a limit by 9:00. 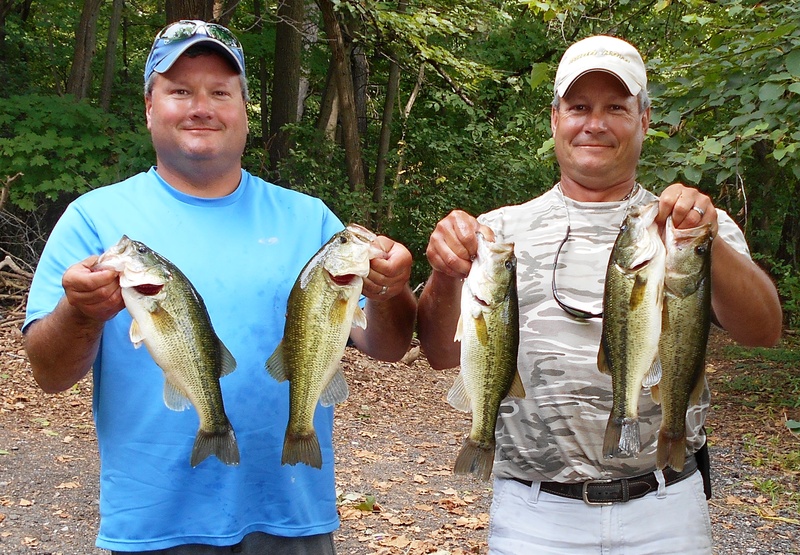 Their patience, or glutton for punishment, paid off with an 8.26 pound limit and $393. 4th Place:Kelly and Kevin Warner had never seen Lake Maxinkuckee until the morning of the tournament, yet, they still managed a top 5 finish! “It just looked like a lake that would fish how we like to fish: shallow,” Kelly surmised. 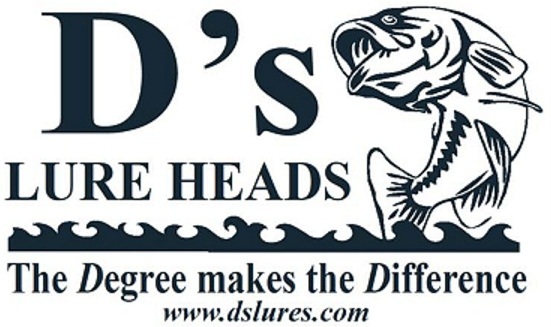 Indeed, they caught 8 keepers which amassed an 8.17 pound limit and $272. any ‘dark’ water we saw.” Their best bite came between 10-12:00 after the sun tucked behind the clouds. 5th Place: For the second time this season, Paul Hargens and Adam Pfluegar have found themselves in the Top 5. 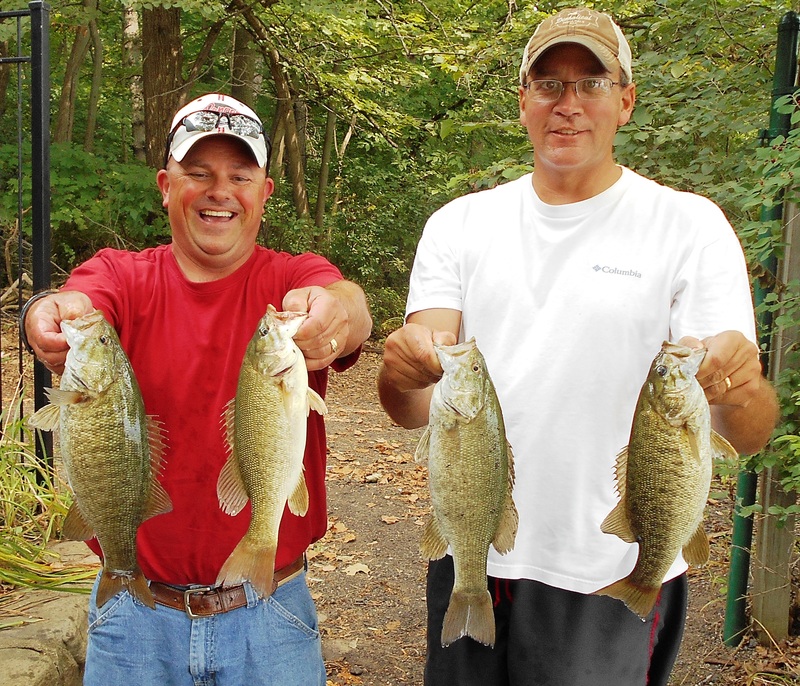 This time they soaked one area for all it was worth to pull out a 7.67 pound limit and win $242. There magic area was an outside weedline 18 feet deep. Pfluegar described the weeds on the bottom as, “Tall. Great about 18 inches off the bottom.” Like the rest of the field, they were not immune to the bite as they only landed five keepers and two shorts. However, “We had our limit by 11:00 and knew other teams were struggling. So with the baitfish present, we decided to stay put.” Why leave fish to find fish? 6th Place: With just one event remaining, the team of "Bear" Griva and Mike Klavinski have nearly a 20 point lead on the 2013 Season Champions in the Standings. Efficiency such as was on exhibit at Maxinkuckee is why. 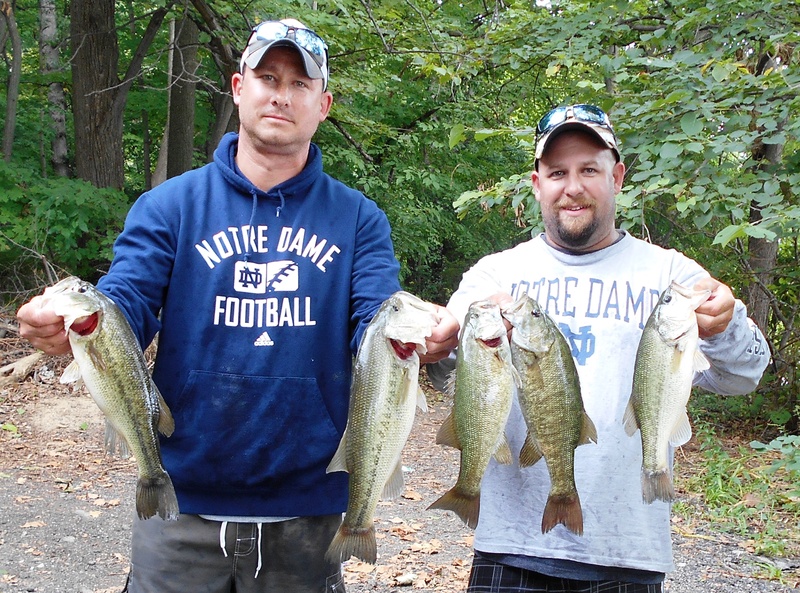 Their 7.64 pound limit won them another $212. They have cashed in 4 of the 5 events. 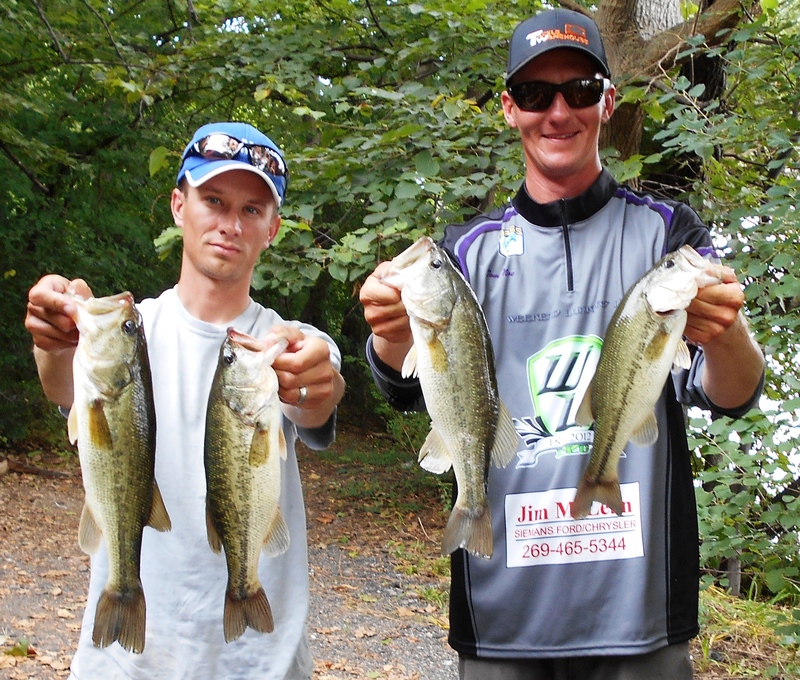 7th Place: Four fish weighing 7.63 pounds was the best showing this season by Dan Truex and Tim Pugh which earned them $181. Now they must learn how to smile for the camera! 8th Place: Owner of Lock Jaw Jigs, Frank Adams, and partner Dan Miles brought four fish to the scales that weighed 7.38 pounds which put $136 in their pockets. 9th Place: The best looking team in the fleet, Mark Fennell and Andy Buss, brought three fish to the scales for 6.80 pounds and $106. 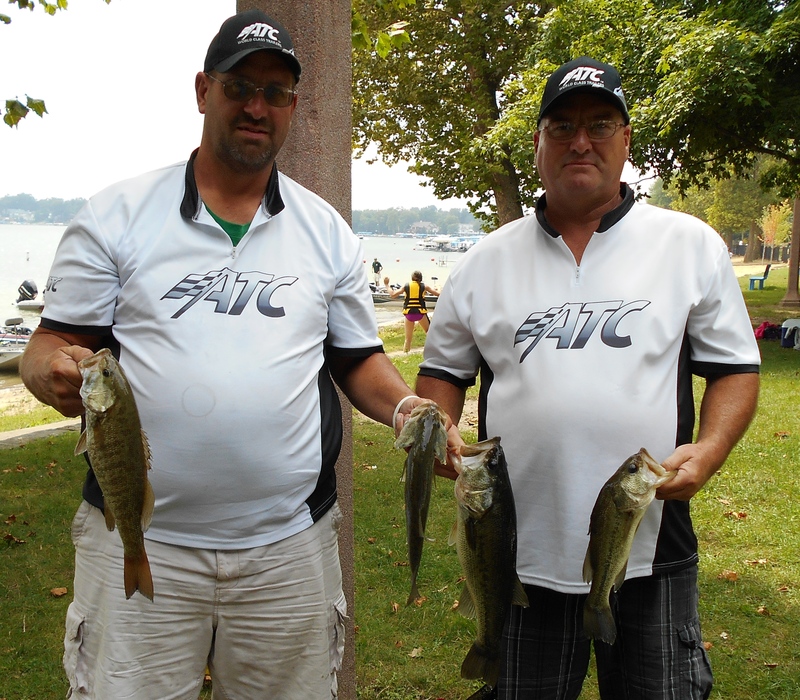 10th Place:John Gipson, Jr. and Tom Noe added another $91 to their highly successful season. Like the leaders, they too have cashed in 4 of the 5 events, thus they find themselves in third place Overall with a chance to take over at Diamond Lake. 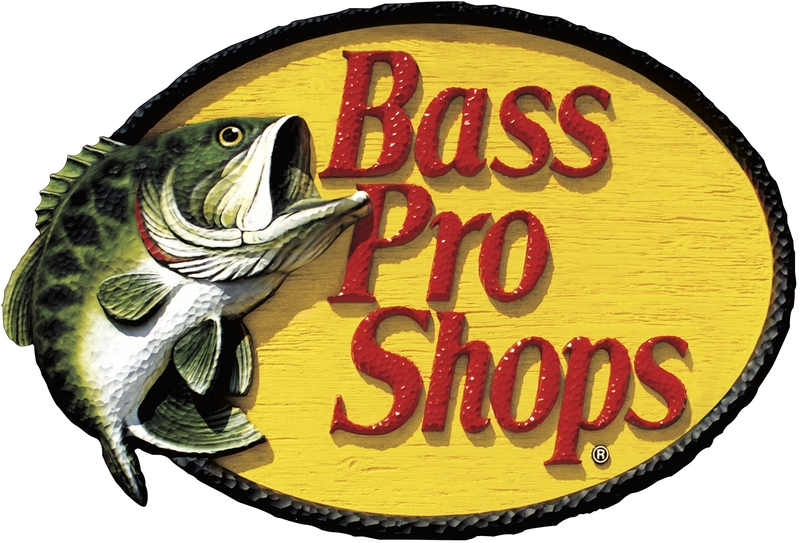 Bass Pro Shops Award: For the second time in a row, Tom Seljam and Jim Wheeler finished 15th place with 5.09 pounds and won an Extreme reel provided by the BPS store in Portage, Indiana. Solar Bat Sunglasses Incentive: Finishing in 20th place with 4.12 pounds, Kyle Kovets and Corey Gaff qualified for the Solar Bat Incentive worth $200 in cash. Make sure you are qualified! 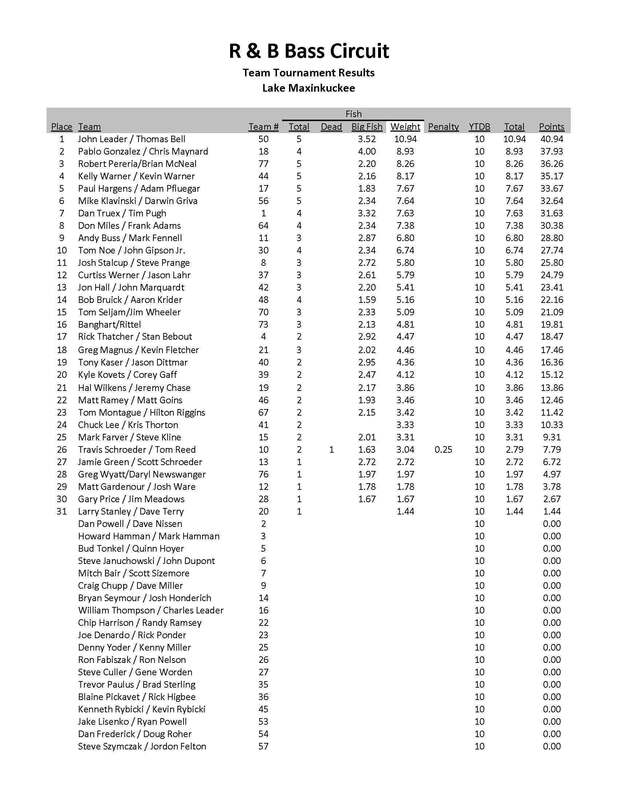 Starboard Choice Marine Challenge: With just 3.33 pounds and a 24th place finish, Kris Thornton and Chuck Lee are eligible for a prize worth $90. Click on the results for a .pdf file.